A total probe of the administration run by immediate former president, Dr Goodluck Ebele Jonathan is underway as the National Economic Council, NEC, Ad-hoc Committee on the Management of Excess Crude Account Proceeds and Accruals into the Federation Account, headed by the Governor of Edo State, Mr. Adams Oshiomhole, is to hire two international forensic audit firms to probe revenue that accrued into the Federation Account and how it was spent under former Dr Goodluck Jonathan as President. Mr. Oshiomhole told journalists at the end of the first meeting of the committee in Abuja, yesterday that the auditors would cover the period January 1, 2010 to June 1, 2015. 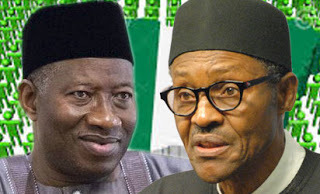 It put paid to calls by the opposition Peoples’ Democratic Party, PDP, that Buhari should extend his probe to the administrations of Jonathan’s predecessors, Alh. Umaru Yar’ Adua.and Chief Olusegun Obasanjo. Already, some revenue generating agencies have been invited to brief the committee which will take detailed briefings from all Ministries, Departments and Agencies, MDAs of the Federal Government that deal directly with revenue. The focus will be on the Nigerian National Petroleum Corporation, NNPC, the Nigeria Customs Service, the Central bank of Nigeria, the Nigeria Extractive Industries Transparency Initiative, NEITI, among others. Other members of the committee included Gov. Nasir Ahmed El-Rufai of Kaduna State, Ibrahim Dankwambo of Gombe, and Udom Emmanuel of Akwa Ibom. He said that the committee did not want its actions to be bogged down by political interpretations and that the members were not professionals. Even if they were professionals, he said that their duties as governors would not allow them the time to do a thorough work. His words, “We held our first primary session today here with some of the revenue generating agencies that are supposed to remit funds to the federation account. We had a successful session with Customs, NPA, NEITI, SEC, FIRS, and quite a number of others and next week we will also hear from CBN, Ministry of Finance, Office of the Accountant-General of the Federation. For the remaining ones, we agree we are going to meet on Thursday next week, NNPC, NPDC, DPR, NIMASA and other remaining agencies. We have started the work, with the idea to hear them out, what they have been doing, with particular emphasis on revenue accruing from these organizations and whether or not these have been remitted to the Federation Account for judicious distribution. His words: “We realised that this is a task and given our mandate, even if we were professional accountants because we are sitting governors, we would not have the time to do a forensic audit which this assignment entails. “Therefore, we have agreed in line with our mandate to appoint two reputable international audit firms to carry out a thorough forensic audit, not only of NNPC, which is more of excess crude, but other monies that accrued to the Federation Accounts. We have other revenues like bonuses, royalties, taxes, VAT that flow into the Federation Account. “We are taking a holistic review of the entire process, looking at all the agencies that make contribution of funds to the federation account. We are convinced that by appointing audit firms, we will allow professionals to carry out this exercise, so that it will be free of any political colouration and also we will ensure the outcome of the investigation will. “We have learned, we have listened and asked questions. I think we all have a clear picture of what is happening in those organizations before now. Some have information to supply and we have drawn attention to those areas, they are willing to oblige. We believe in the end, we will be able to not just establish what had happened over the period but much more important, going forward with the changes the President has promised the country. “It is not going to be business as usual. He started on a clean slate and everybody knows the new rules of the game and in particular as the laws apply to the various institutions are implemented in full. So I think we started very well. We are very confident that we are going to come out with something that is going to be of immense benefits to the Nigerian people”. He added: “Audit can only be credible as much as information that was made available to auditors. The good news now is that with President Buhari, all the books will be open, no agency has any protection. Any agency that refuses to open the books then is ready to go on confrontation with the authority. On the duration of the audit exercise, Oshiomhole explained that the committee had looked at it professionally. “We are focusing on a five year circle. What we have agreed is that we are going to carry out an audit for five years from 1st January 2010 to 30th June 2015. “If the audit report reveals that we need to go backward, then we can do that. But for the first instance, this is the period that we consider good. “We can’t impose a time frame on them but will engage them and by Thursday we will be able to make it public. We need to listen to them and agreed with them on how much time will be okay for them. We are all in a hurry to ensure that the right thing is done. The emphasis is not on time but doing thorough job. “By next week we will meet with the big ones and we will then be able to tell you the audit firms that we have appointed. They are firms I am sure Nigerians will have confidence in. “At the end of the audit we will hear them out and reconcile them with what the laws says and arrive at a position. Given the volume of work and complicated nature of issues, we agreed we need professionals to carry out the audit. It is only the professionals that can handle it. It is not good to compromise”.